Posted on March 31, 2019 March 31, 2019 Tags Cole World War II scrap drives survivorLeave a comment on Why are there so few Coles remaining? There are a few misconceptions out there about when the Cole Motor Company added the V8 engine into their cars and exactly what they were. I wanted to give a definitive timeline and information about the development of the Cole V8 and a bit more details on the engine. Much of this information comes from the little known book that was a college dissertation written by Howard Russell Delancy in 1954 at Indiana University. 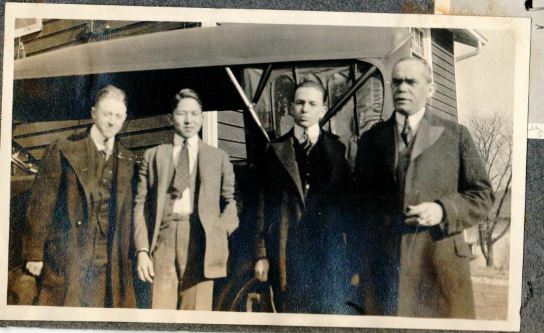 Delancy was given exclusive access to the Cole family, all historical papers and archives, survivors who worked at Cole, and other people in the industry. I also have reviewed advertising, dealer books, and manuals of the time. Why did JJ Cole want a V8 for his cars? When was the Cole V8 Introduced? One misconception about Cole V8’s is when they were introduced. While there were V8’s in use prior to 1914 in different cars, they were one offs or specialized uses. Cadillac is rightfully credited with introducing the V8 engine into a mass production vehicle in September of 1914. Cole introduced their V8 engine a few short months later in January of 1915. Cole ordered 1000 V8 engines made and then put them into 1915 model cars. 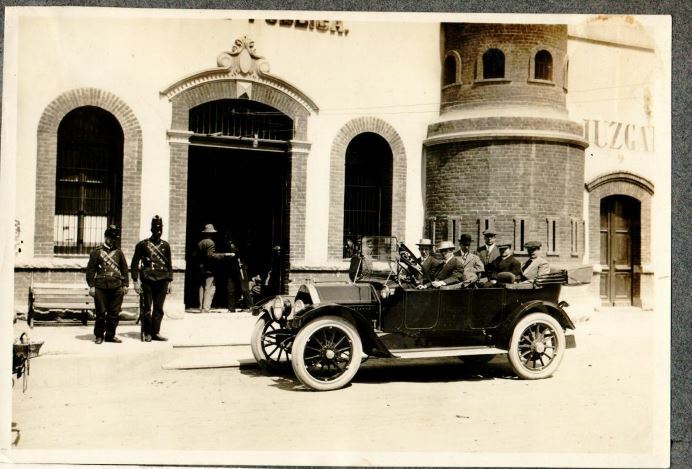 However, the primary production in 1915 of Coles was still 4 and 6 cylinder vehicles. The V8 engine was an option in all body styles that year. By the end of 1915 Cole decided that the 1916 model cars would only be available with V8 engines and Cole ceased production of cars with 4 and 6 cylinders. The Oakland automobile company also released a V8 later in 1915 after Cole and it was also manufactured by Northway. Wasn’t the Cole V8 the same as Cadillac’s? Another misconception is that since Northway was the engine supplier for both Cadillac and Cole, that Cole just used the same Cadillac engine and hence is why they had the V8 a few months after Cadillac. This is wrong as the V8 engines for Cadillac and Cole were different and engineered to each companies design and specifications. In 1914, Charles Crawford, who was the Chief Engineer at Cole, spent most of the year at Northway in Detroit working with their engineers on the design of the specific Cole V8 engine. Cadillac’s V8 was a L-head configuration with 314 cubic inches of displacement and solid heads while Cole’s V8 engine was a Flathead design with 346 cubic inches of displacement and included detachable heads. Cole’s V8 design was billed as having more power than the Cadillac and was also easier to maintain. The introduction of the V8 by Cole in 1915 was not flawless as they were plagued by problems of the engine leaking oil and throwing it all over the engine compartment. This would cause the valves to get stuck. Charles Crawford spent a lot of his time in 1915 working on a fix and JJ Cole wrote a letter to Northway accusing them of shoddy machine work. Cole and Northway ended up getting things ironed out and that led to the decision to go to only V8’s from that point on in all Cole cars. 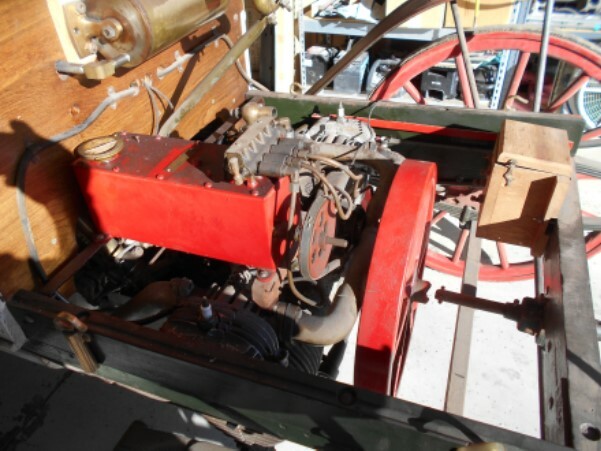 Cole ended up having to replace many of the original 1000 V8 engines that were released in early 1915. The Cole V8 engine was fast and powerful and was a favorite for some stock car racers during the era. Cole improved the design again in 1919 when they released the Cole 890’s and that improved horsepower to almost 90HP. Hopefully this clears up any confusion about the introduction of the Cole V8 engine. I have included scans of the portion of Delancy’s work on the V8 for further details and information. There are two known surviving 1915 Coles with the V8 engine. Previously it was thought that the 1911 Palace Touring was the oldest Cole car to still survive. 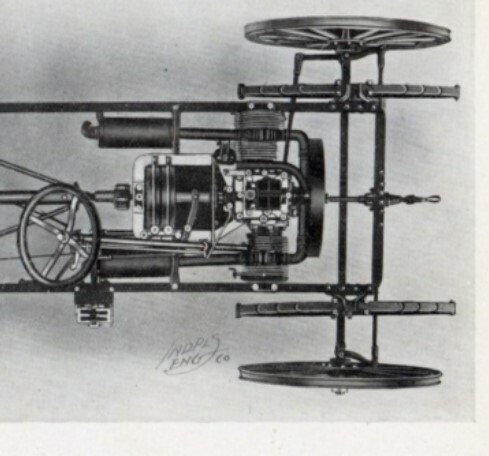 Well, in December of 2018 a 1909 Cole High Wheeler Model D was identified. The Cole High Wheeler was made by the Cole Carriage Company and you can find out more about the High Wheelers at this section on the site. Here is a bit more information about the newly discovered Cole High Wheeler. I received an email from a gentleman saying “How would you like me to bring the Cole car that none are know to exist to the owners meet in May?” As you can imagine my curiosity rose to a very high level! Car number 78 is a 1909 Cole High Wheeler and it will be unveiled at the Cole Meet up in May. There were no known surviving Cole High Wheelers from the Cole Carriage company out of the 170 that were made. This car is in Kansas and a gentleman that was the owner recently passed away at 95 years old and this was in his barn. The man purchased the car when we was in high school as a car to work on and play with. Over the years it did have some modifications made to the seating and other various components. The man didn’t even really know what kind of car it was and he just loved it for what it was. In the 90’s he did write to the Horseless Carriage Research Foundation and sent them pictures and information about the car and they came back that it was a 1909 Cole Solid Tire High wheeler. The person that is doing work on the car for the family will be bringing it to the Gilmore and doing a talk on the car at the event. I am not going to share pictures of it now, except a teaser shot of the two cylinder engine. The tank and oiler are wrong on it and are being changed out, but the actual engine, exhaust, and transmission matches up perfect to the photos from the sales catalog. It will be great to unveil this wonderful automobile at the Cole owners meetup in May, 2019. I was going through the boxes of documents and papers from the former Cole Motor Car Club of America and I found this wonderful photo. It is Helen and Joe Cole from the late 1940’s with their family’s 1919 Cole Aero 8 Roadster. The photo is wonderful and it is great to see the Cole family still using the cars that represent their namesake. This car is still around and resides in California. Many years ago, the car was in the Great Race and below is a picture from an old Cole Club bulletin. What a fabulous car and storied history that this Cole car has! Did you know that all V8 Coles 1916 and newer are considered Full Classics by the Classic Car Club of America? In 2012, Helen Cole and a few others worked very hard with the CCCA to have Coles considered Full Classics. the post 1916 Cole cars are eligible to attend CCCA events and you can participate in your regional CCCA club if interested. Right now there are 4 Coles registered in the CCCA and it would be great to see more of them as part of that club! You can find out more here https://classiccarclub.org/. 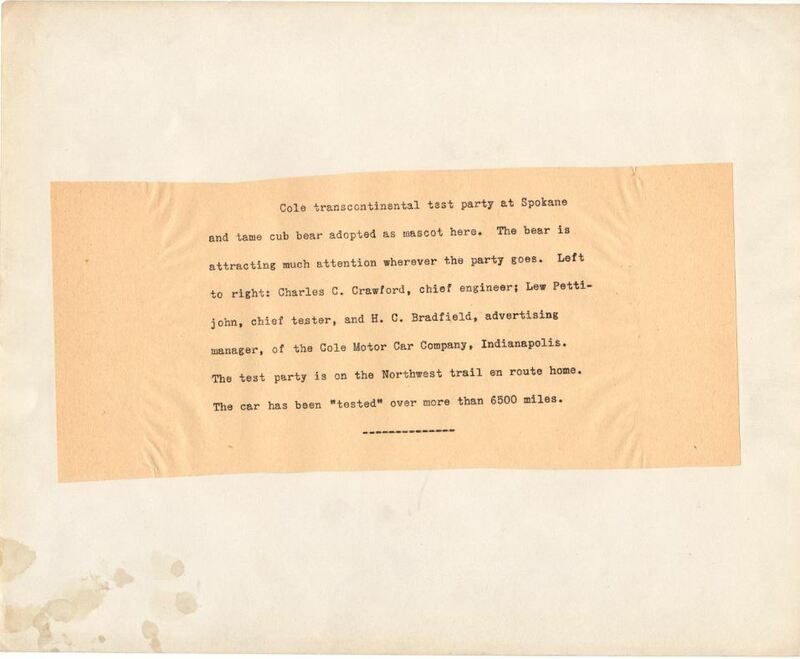 In early 1913, Cole took a specifically labeled new Series 9 car on a long trip to test it out and show endurance as well as to raise marketing awareness for the ‘Standardized’ car. JJ Cole called it the standardized car because he wanted all of the best components in it that were or would be the standard in the automotive industry. 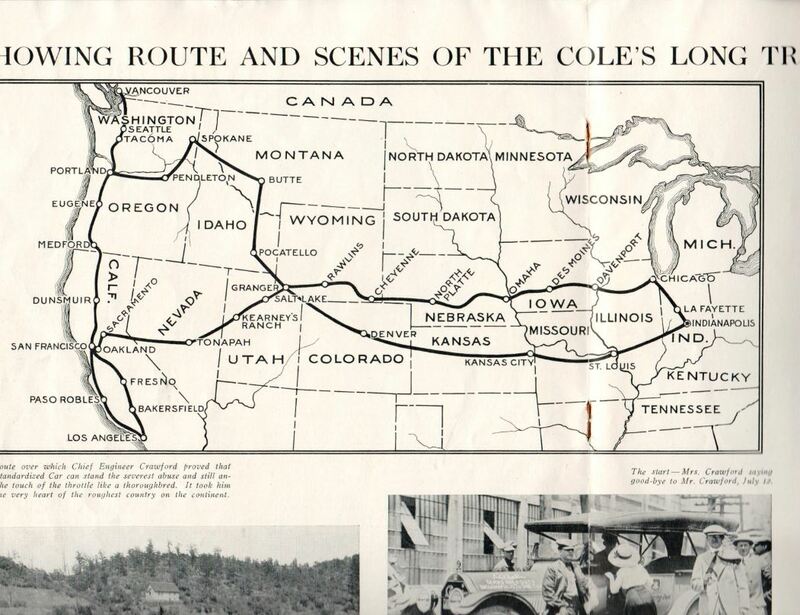 Here are a few pictures from a company or Cole family scrapbook of the trip. 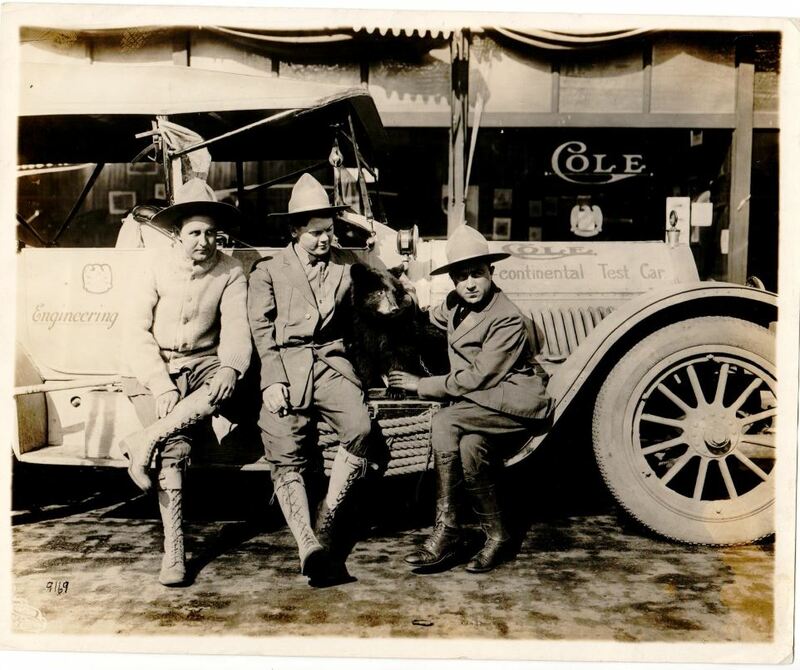 The first picture is an 8×10 of the three drivers of the transcontinental test car. The second picture is the typed note on the back of the picture. 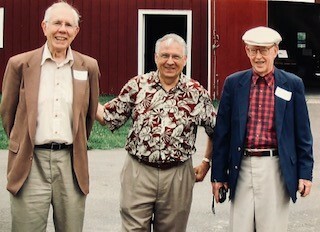 The next picture is of the three individuals standing with JJ Cole. and then the picture after that is of some Cole execs arriving to the event in another Series 9 touring car. 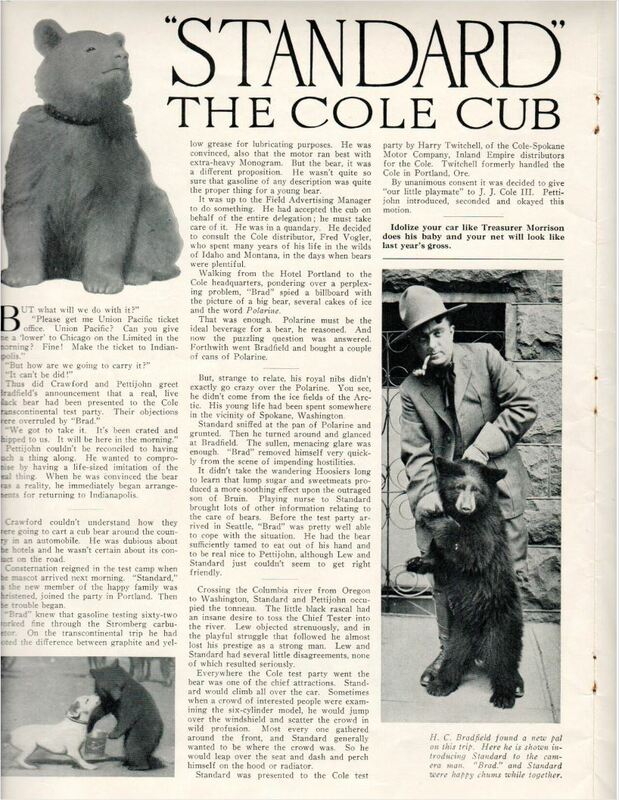 The pictures after that are from a 1913 Cole Service Bulletin with a map of the trip and then a great picture and story about the bear mascot mentioned on the back of the 8×10 photo.